What is the difference between an M.D. and N.D.? NDs and MDs are alike in many ways. Both attend a four-year medical school after completing pre-med classes and a bachelor’s degree. In Washington State, both NDs and MDs are required to pass rigorous professional board exams and to maintain a medical license that demands accountability and ongoing medical education. Both are recognized as Primary Care Physicians (PCP). In clinical practice, both NDs and MDs evaluate a patient using diagnostic interviews, physical exams and lab tests. Both then treat disease, decrease risk factors and prolong lives. The primary difference lies in the focus of their training and their treatment approaches. An ND’s training is focused on treating and eventually preventing illness by strengthening and stimulating the body’s natural defense and repair systems. This allows your body to do what comes natural–heal itself. NDs draw from a variety of health disciplines when creating personalized treatment plans. Therapies may include diet therapy, nutritional supplementation, plant medicine (herbal and homeopathic) and physical therapy (especially hot/cold spa therapies). An MD’s training is focused more on treating illness by controlling the disease process with more aggressive pharmaceutical and surgical strategies. These treatments can be necessary and lifesaving. 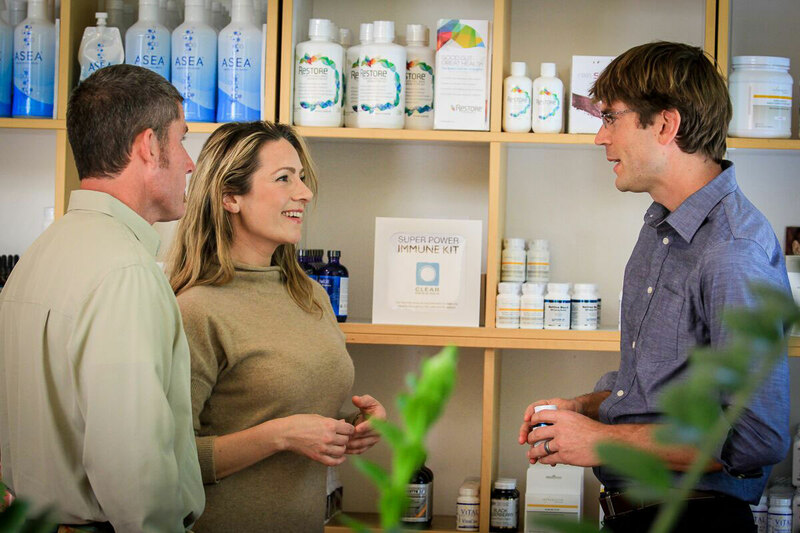 But from the Naturopathic perspective, many health conditions can be resolved and more aggressive treatments avoided by using more conservative natural therapies. As well, with this approach, patients can often avoid the undesirable side effects commonly associated with conventional medical care. The providers at CLEAR Center of Health focus on an integrative approach to treating the whole person. 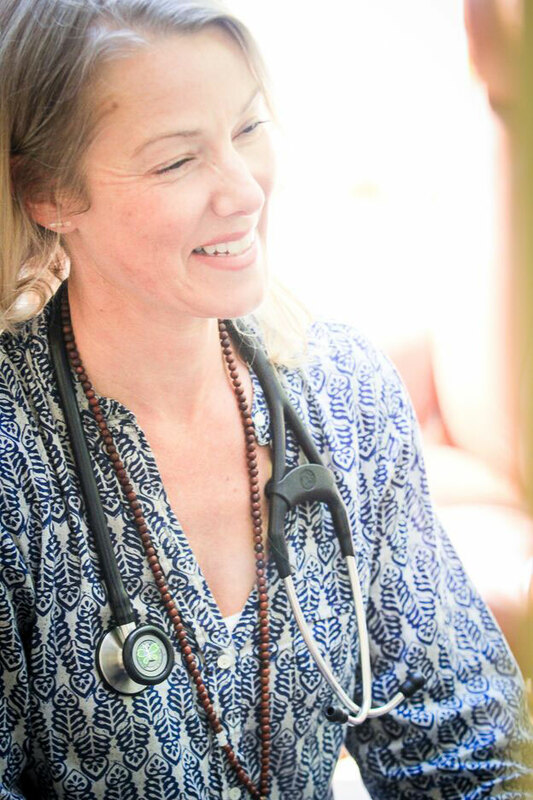 Although Dr. McDougall is an M.D., she has extensive training in natural medicine. Why can’t I find my lab results on my patient portal? Lab results must be discussed with your provider prior to being placed on the patient portal. Many reports are difficult to understand. The CLEAR Center approach to wellness may or may not utilize the reference ranges listed on the lab report. Many times ratios are used to determine the state of wellness in a patient so many report findings may be misunderstood in the absence of review with the doctor. There are occasions when a provider will grant access to labs that are a re-run of a value or something that has been discussed earlier. Every patient is unique and no treatment at CLEAR Center is one size fits all. The state of your current condition, level of toxicity, nutrient deficiencies, hormone imbalance and emotional state are all taken into consideration when creating your treatment plan. We have found that patients who are seen more regularly and who use the B.A.H and A.C.M.O.S heal faster than those that do not. Why don’t you contract with my insurance company? There are good reasons why patients seek CLEAR Center of Health for their health management instead of a traditional PPO provider. Contracting with insurance companies is not just about billing and payment. Conventional insurance plans have a “cook book” for the treatment of all health conditions. When you sign that contract you are agreeing to treat patients according to the treatment protocols that the insurance companies have deemed “appropriate”. CLEAR Center may or may not feel that the insurance company guidelines are the best possible option to ensure or restore the highest level of health for the patient; because of this we are unable to sign those contracts. How much will my insurance company pay for? There are thousands of insurance plans so we are unable to tell you what the reimbursement from your insurance might be. We recommend that you call the customer service number on the back of your insurance card to determine what they pay for an “out of network PPO provider”. The code for a new patient appointment is 99205 and the follow up code is 99215. I have questions about a bill I received from the lab. CLEAR Center of Health does not process labs or bill for them. The $35 fee is collected for drawing the specimen only. We send your paperwork and insurance card (when applicable) with your specimen to the laboratory. If you have any questions you will need to contact the lab directly. How long does it take for my doctor to submit authorization for my refill of medication? CLEAR Center of Health is closed on Friday, Saturday and Sunday so we do not get any requests for refills on those days. Please allow 3 business days for your refills if they are submitted Monday – Thursday. We do not want you to run out of your medication so please plan accordingly. I have run out of my supplements and don’t see the doctor for another three weeks, should I reorder more or stop until I come back in? Generally, you will keep taking all of the supplements and medications until your follow up apt. If there is something that you are unsure of please use the patient portal to ask. I live far from the clinic, can I still be a patient? Initial consultations must be done in person but follow up appointments can be done via telephone. You must also come in person once annually. I ran out of supplements but can’t get to the office, what should I do? We offering shipping on all “non refrigerated” supplements. I need a copy of my medical records, how do I get them? You will find our medical records release form on our website under “Forms”. The charge for one chart is $20.00. If you chart is multiple volumes, you will be charged $20.00 per volume. I have a quick question for the doctor or staff, do I need an appointment? Quick questions can be asked on our patient portal. If you mark the message “private” and select the name of the person you are sending it to, no one else will be able to see it. This also means that if you contact us to get the answer because you have not heard back from us, we will not be able to see it to help you. If you have more than a quick question you will need to schedule an appointment.